At Endeavour Fires and Fireplaces, we strive to supply the very best in design and effects for your home. 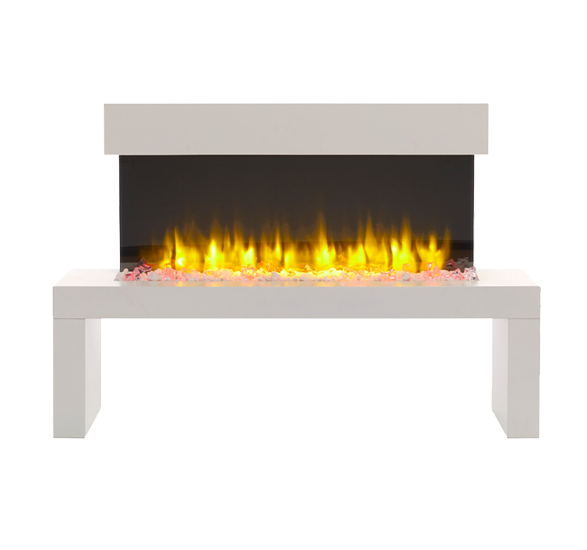 Our range of electric fires are easy to install and operate, and we believe they are second to none when it comes to quality and reliability. 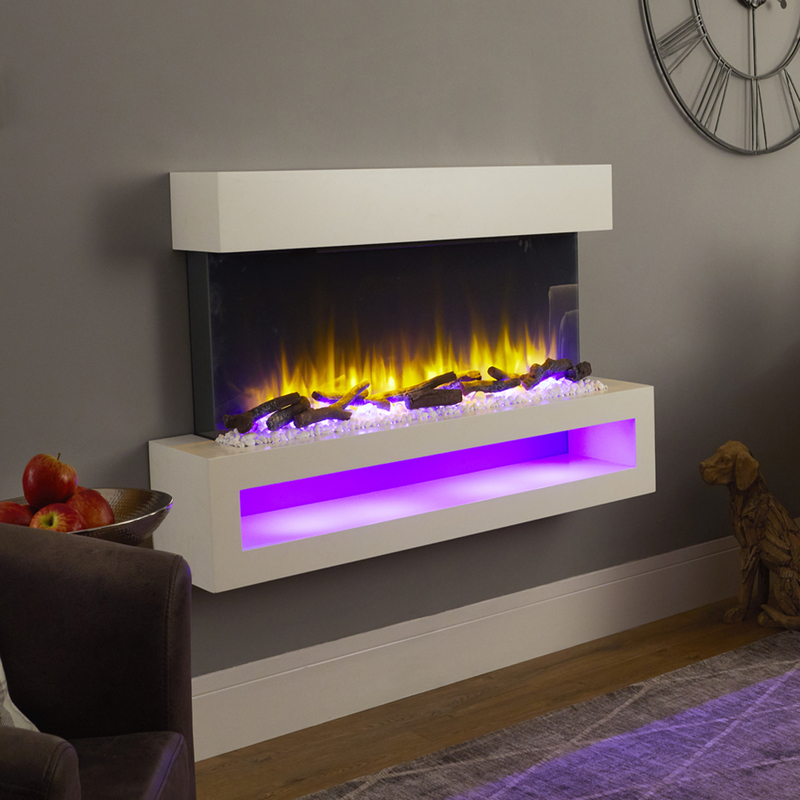 All of our fires have amazingly realistic flame effects, and on selected models we have our 12 colour mood lighting which is powered by low energy LEDS. Each electric fire is remote controlled and allows you to change the temperature and lighting effects from the comfort of your chair. 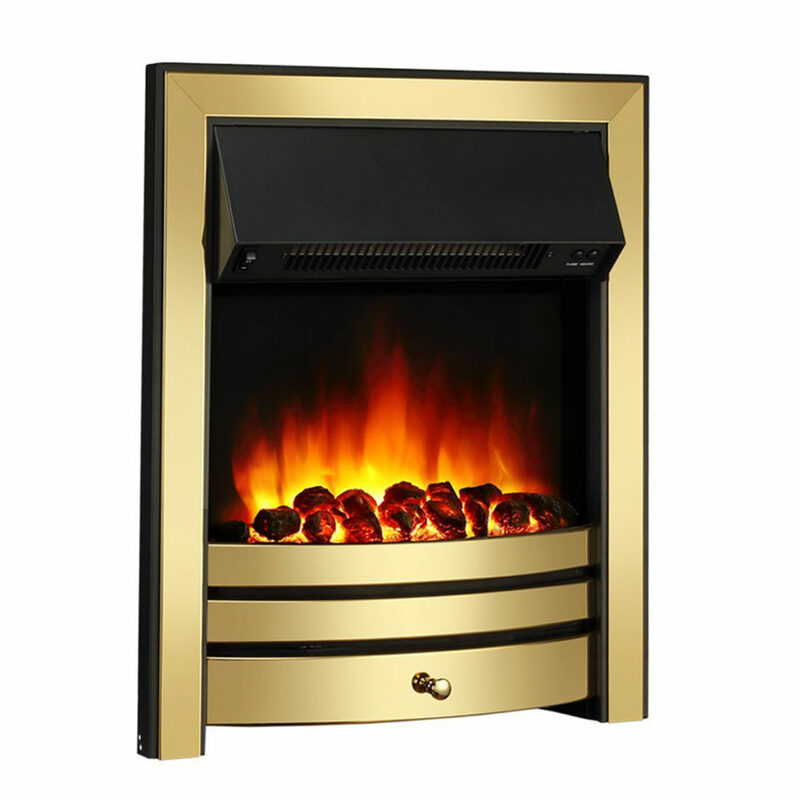 Whether you’re looking for an electric inset fire to fit into an existing fireplace surround recess, or a full fireplace suite, we have models to suit both traditional and contemporary styles, available in matte black, chrome and brass. With 1 and 2kW heat output setting and independently operated realistic flame effect and LED lighting, you can make a cozy warm feel all year round. 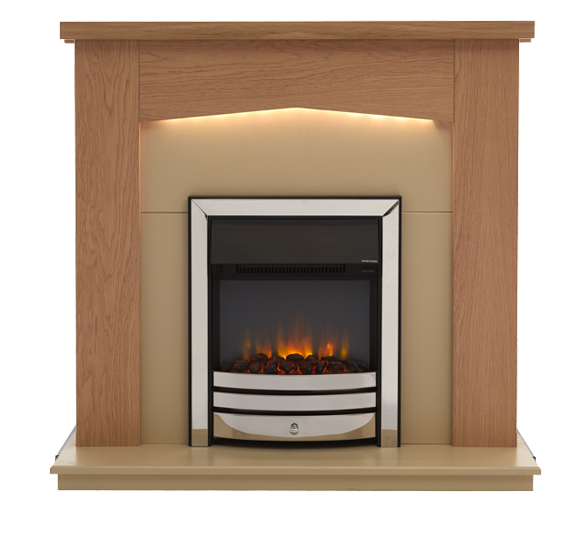 At Endeavour Fires, we offer a range of electric fireplace suites to suit both traditional and contemporary homes, all with free delivery to mainland UK. 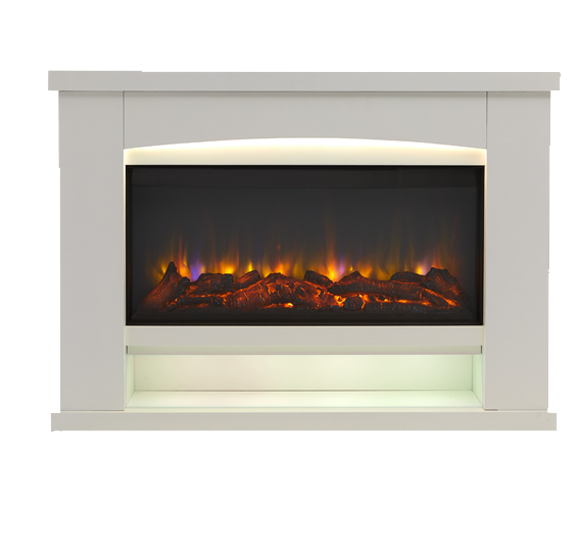 With 1 and 2kW heat output, independently operated mood lighting and realistic flame effect settings, you can customise the look of the fire to suit your style. 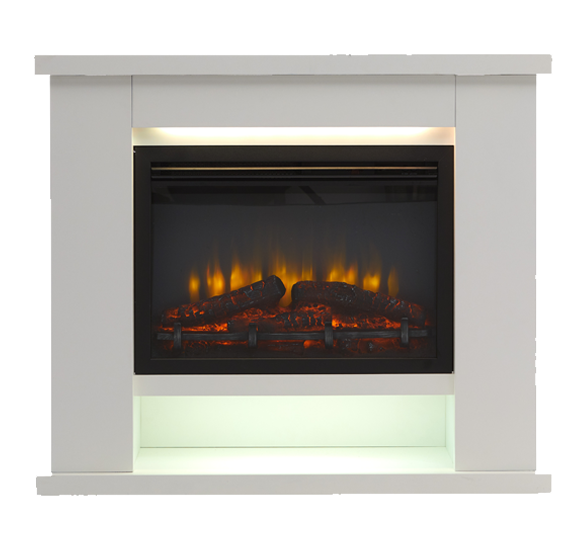 Our wall mounted electric fires are available in a choice of colour and design. 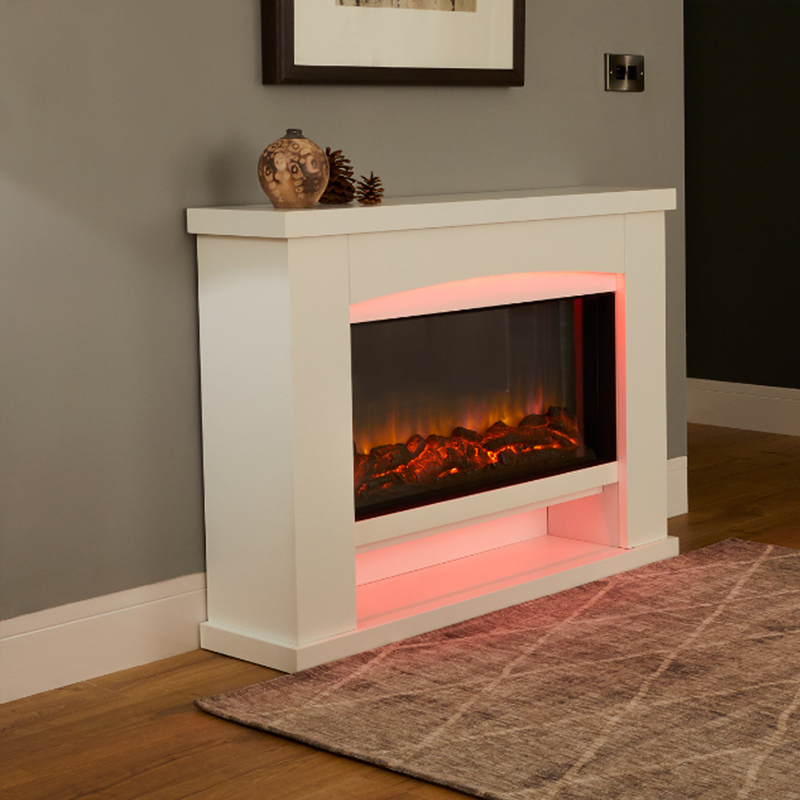 With remote controlled 1 and 2kW heat output, LED realistic flame effect settings and mood lighting, you can adjust the fire from the comfort of your chair. 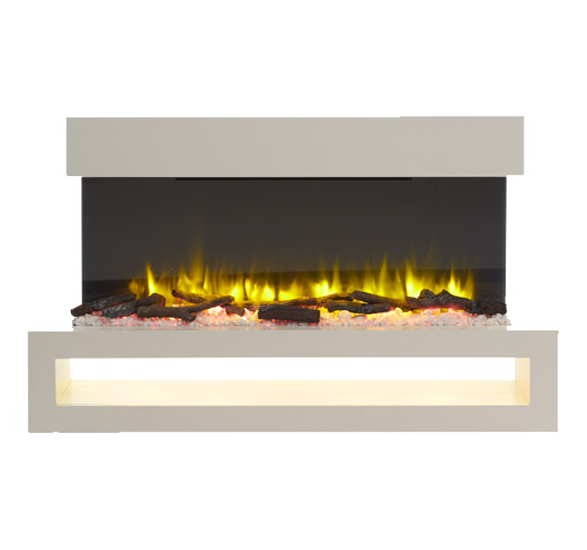 These fires are easily installed on any flat wall and especially popular for modern interiors. 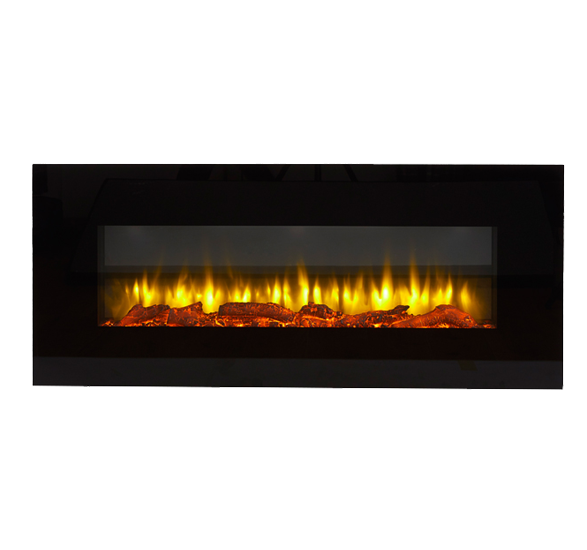 Amazingly realistic LED flame and log effect with near silent operation and fully remote controlled. The flame effect only setting uses only 6w/hr of power. Equal to less than £1.50 per year if on 5 hrs every day.